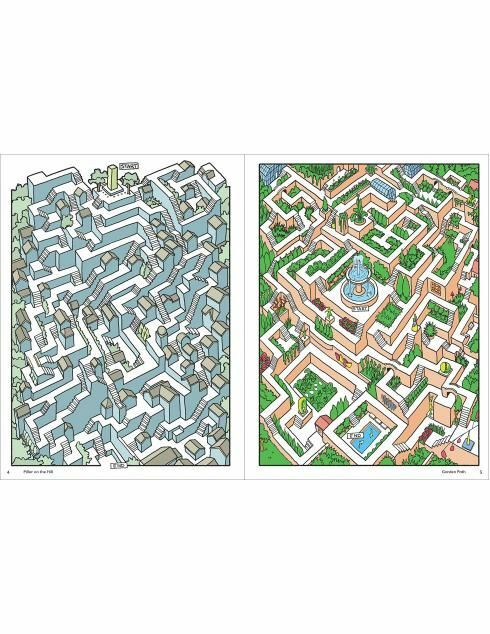 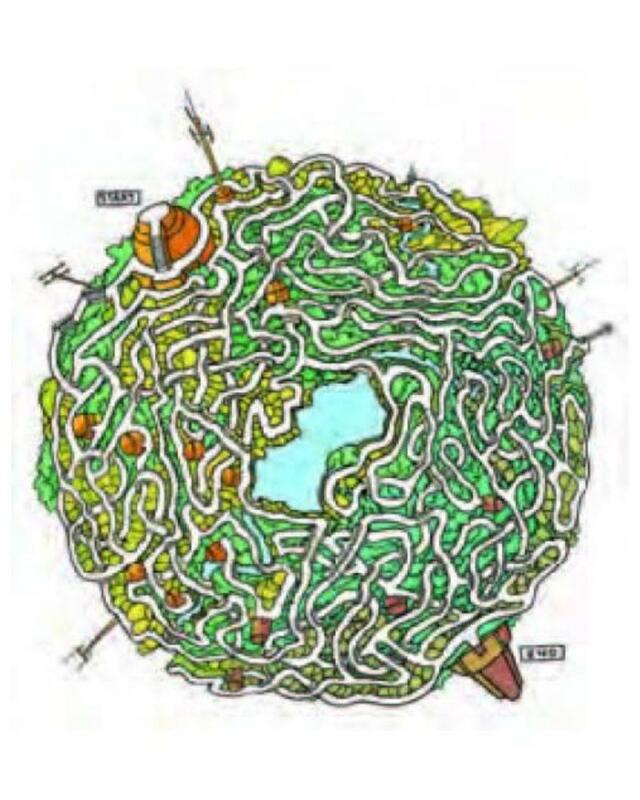 Sean C. Jackson has been illustrating and exploring mazes for his own enjoyment for more than 30 years. 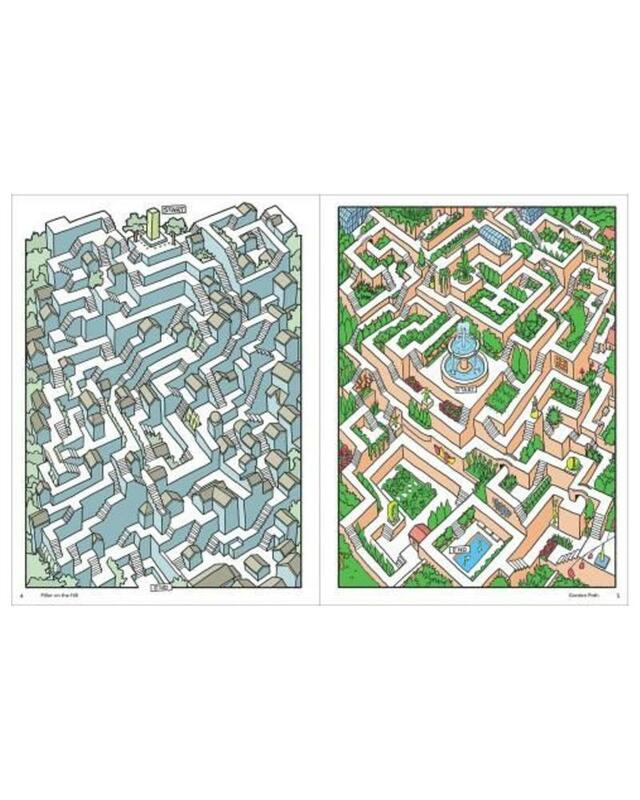 Inspired by art, architecture, and the natural world, his colorfully detailed mazes offer imaginative and meditative journeys through village streets, garden vistas, island habitats, castle grounds, scenic towns, and gravity-defying surreal situations each encouraging the mind to wander while following the paths. 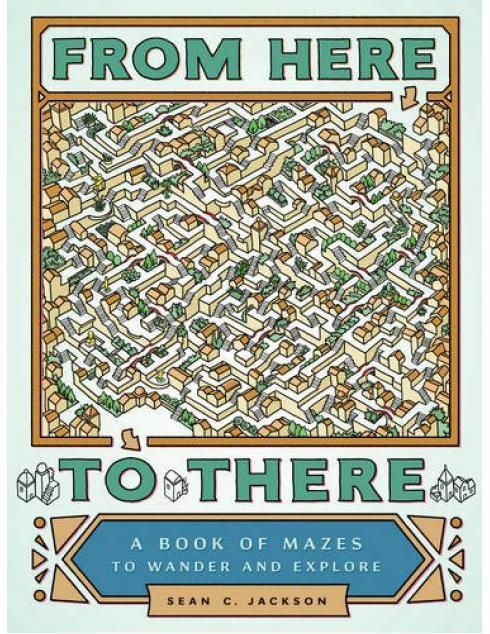 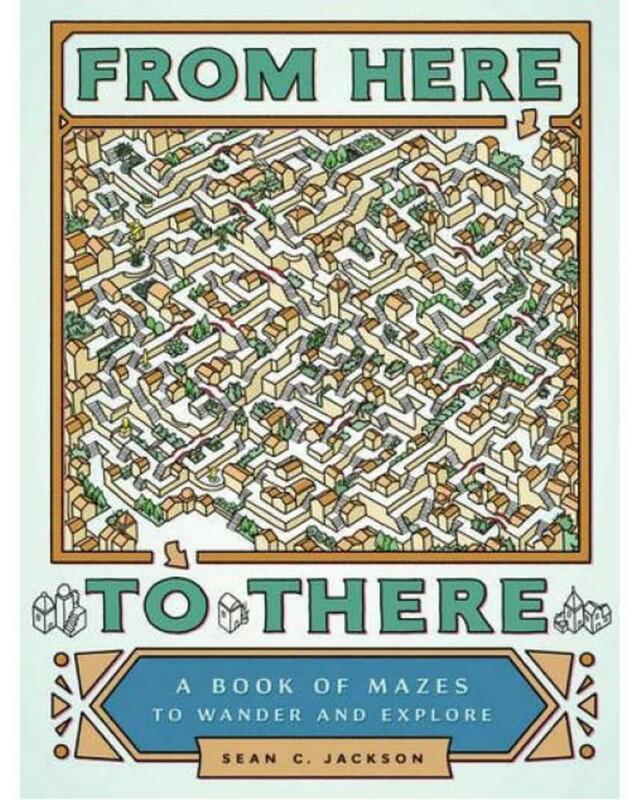 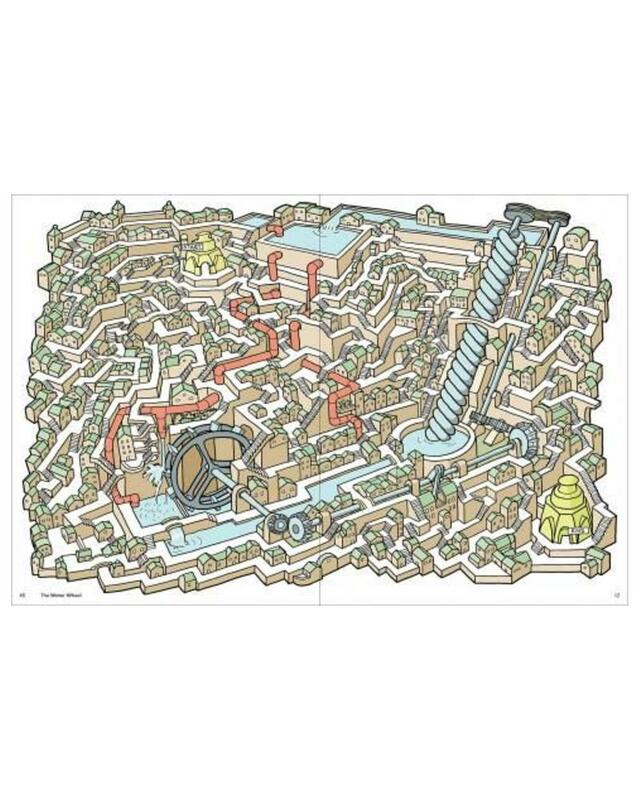 This large-format collection features nearly 50 absorbing single-page and full-spread mazes, sequenced with increasing complexity, and includes inventive bonuses such as mazes with two paths to follow and a maze that runs on the inside covers from front to back. 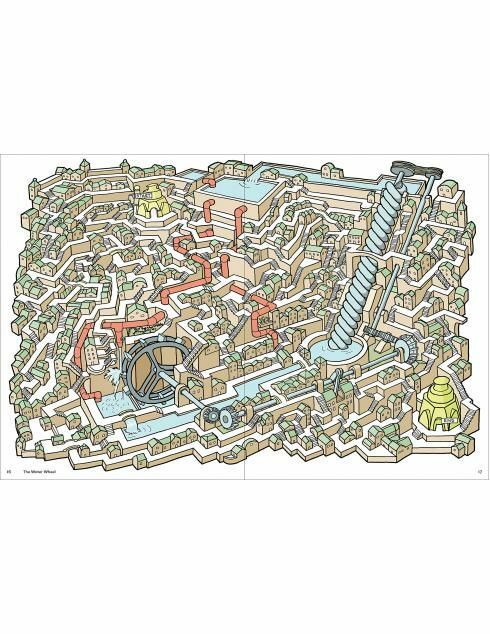 Solutions are provided, but for those seeking mindful activity or hours of puzzle decoding entertainment, getting there will be half the fun.